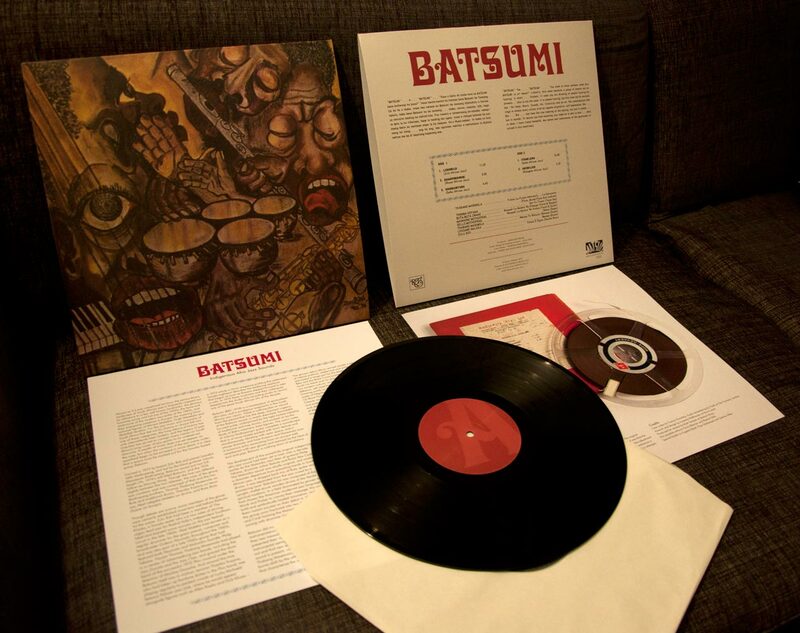 To mark Matsuli's impending release on Monday 28 November of Batsumi's incredible 1974 debut LP we have two copies of the limited edition vinyl up for grabs (if you don't have a turntable Matsuli will arrange a digital copy for download or via CD). To enter the giveaway please become an electricjive follower and leave us a comment on this posting with an idea of what content you'd like to see us feature in 2012. To become a follower simply click on the "follow" button at the top left hand side of the web-site and fill out your details. Full details on the reissue are available at the Matsuli site here and Dan Magaziner has given it a big thumbs up at Africa is a Country. Honest Jons describes it as "Landmark Afro Jazz from South Africa, 1974 — urgent, spiritual, political; shimmering, propulsive, surging. Reverbed traditional and trap drums, mesmeric bass, soaring flute and tenor sax. Warmly recommended." To purchase copies of the limited edition vinyl please visit the Matsuli link or if you are based in South Africa copies are available here. Digital downloads as MP3s are available from 28/11 via iTunes, Amazon and eMusic. It is also available via streaming service Spotify. “The African doesn’t know all this data, he just calls it a pennywhistle, and blows “lo jive” on it “fanakola record pakati”. 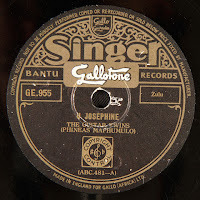 “The African has made the pennywhistle his own, and tens of thousands of flute jive records sold every week testify to its tremendous popularity. There has been considerable demand amongst Europeans for these records and to help meet the demand, the more convenient form of LP has been compiled. “Perhaps this interest in Bantu Pennywhistle Jazz is not so strange when it is considered what remarkable sounds the best of its exponents are able to coax from an instrument of such extreme limitations. “The artists heard on this selection are among the cream of the Pennywhistle Players, and the technique that they obtain on these simple instruments is truly remarkable. Included on the album are also a few tracks featuring the saxophone, another instrument that the African is showing remarkable aptitude for. For more than two years Electric Jive has been sharing some wonderful and diverse South African music, and when time permits, also providing a little context and background. Only ten percent of the fifteen thousand or so monthly hits on this website are from within South Africa, so we cannot and should not assume your experience and knowledge of the powerful social and political forces that contributed to a music that provided oppressed generations with joy, celebration, inspiration, upliftment and avenues of cultural expression. We depart from the musical norm today to share an historically fascinating fifteen-minute movie – not only the first by an African to describe South Africa's conditions, but actually the first film to be shot by an African film-maker on the African continent. While I have some idea of South Africa's music from the early sixties, I have limited knowledge of its film. For this reason I asked my good friends Max Annas and Henriette Gunkel to tell us a little about Lionel Ngakane and the cinematic window he provides into South Africa at that time. The next installment of our usual musical offerings will follow in a few days – but we do believe there are many out there who will find this movie very interesting. South African director Lionel Ngakane (1928 – 2003) is considered as one of the fathers of African cinema – at least outside South Africa. Within the borders of the country most people have never heard of him, despite the fact that his reputation equals that of Ousmane Sembene, Djibril Diop-Mambety, Souleyman Cissé or Med Hondo. The legendary ‘table of the elders’ at the pool of the Hotel Independence, reserved for the real dignitaries during Ouagadougou’s bi-annual Pan-African Film Festival FESPACO, used to be occupied by Sembene from Senegal, as well as Henri Duparc and Désiré Ecaré from Côte d’Ivoire – and by Lionel Ngakane. So it was only in 1962 that Ngakane was able to make his first film. With his own camera he went back to South Africa and looked at the living and working conditions of black people in his country. 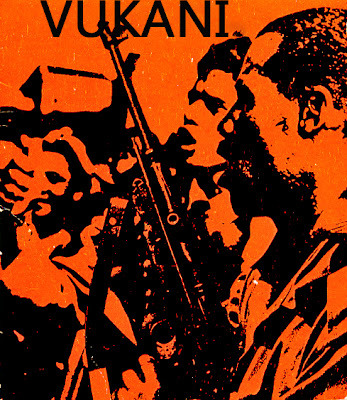 ‘Vukani – Awake’ focuses on poverty and the reasons for it. In this film Ngakane documents the newly builttownships and explains that black people – he says WE in the off commentary – do not want to live there. He counters the images by portraying how white people live and how labor is organized to benefit them – and not the people who do the work. ‘Vukani – Awake’ sets out a number of firsts. It was the first film made by an African person that documents the situation black people had to live in. It was the first movie that was made to mobilize the public – nationally and internationally – against the Apartheid regime. And it was the first visual expression of what was to become the next step in the struggle against racialized injustice – as it was not just a hidden message of the film that the fight against oppression would turn into an armed one from now on. It took more than another ten years before a similar attempt to describe South African realities attracted more attention, when a collective clandestinely shot and distributed ‘Last Grave at Dimbaza’. At the time of the production of ‘Vukani – Awake’ most of the countries in West Africa already had won their independence. And it is this part of Africa that people remember as the birthplace of African Cinema; Senegal in particular, where Sembene and Paulin Soumanou Vieyra were fighting for their possibilities to make films, or perhaps Niger, where Moustapha Alassane tried the same. ‘Vukani – Awake’, however, was the first film shot by an African filmmaker on the African continent. But whenever or wherever the start of African cinema is claimed Lionel Ngakane and ‘Vukani – Awake’ are missing. Five years later Ngakane produced his most famous film in London. ‘Jemima & Johnny’, inspired by riots in Notting Hill, is the fantasy - or if you want an utopian future - of a non-racial society expressed through the story of a little girl and a little boy who wander about the British capital. He made a documentary on Nelson Mandela for British TV in the 80s before he returned to South Africa where he lived until his death in 2003. The movie is in divx format and is about 150mb in size. 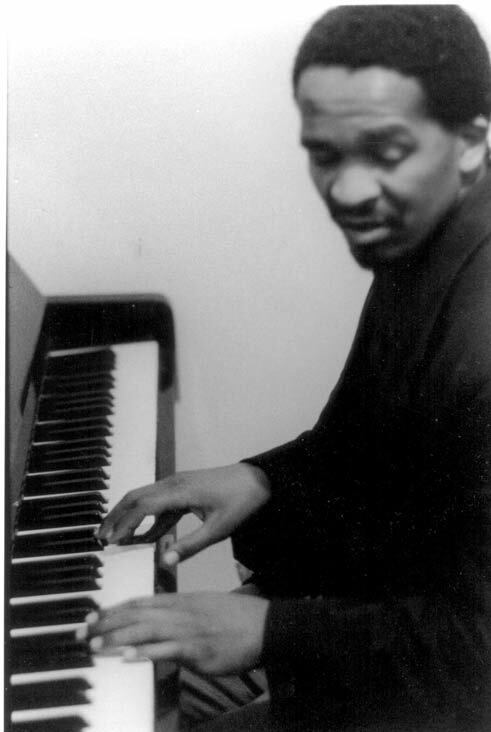 Queenstown jazz vocalist Stompie Mavi (1955-2008) began his career in the early 1970s as a teenager in an outfit known as the Modern Jazz Sextet, alongside guitarist Ivan Makina. ‘Manyano’ (meaning ‘unity’ or ‘oneness’ in isiXhosa), is the 1980 debut LP from the band he fronted from the late 1970s onwards. Era made their mark on the South African jazz scene, and some HYMAP recordings of them in performance at the Market Theatre have been made available at the ever eye-opening SAMAP site (here). Mavi went on to great success, and much of his music is still quite widely available. 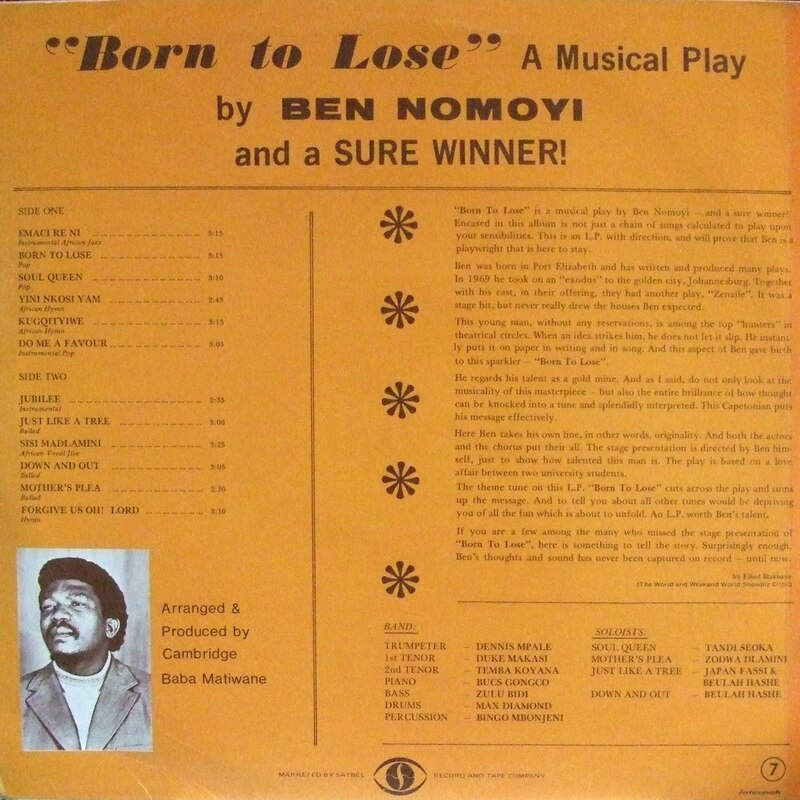 The LP we present here is the first outing by this fondly remembered star. A tribute by the former South African minister of arts and culture, Pallo Jordan, can be found here. Decked out in dashikis, and with their star-signs listed on the back cover in the best 70s soul tradition, Era lay down a polished jazz-funk fusion in the Spirits Rejoice mold, the horns bright and crisp over the infectious, elastic thump of the rhythm section. Enjoy. 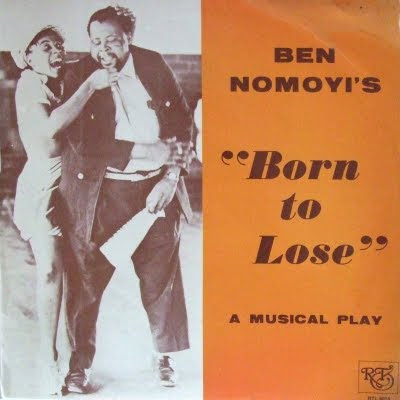 Stompie Mavi – lead vocals; Buggs Tafu – guitar; Xuba Xaba – alto; Don Heba – trumpet; Sam Nxusani – bass; Desmond Malotana – keyboards; Gambu Pasiya – tenor; Zola Sishuba – backing vocals; Themba Mngomezulu – drums. I recently acquired a copy of Guy Buttery’s excellent new limited edition LP, To Disappear in Place, featuring outtakes and demo’s from his 2009 album Fox Hill Lane (his third CD). Some years back his brother Paul introduced me to the music with a copy of his second album Songs from the Cane Fields (2005) and I was already struck then by how much this guitarist’s work is about place — that is Kwa-Zulu Natal — the region in which Buttery as well as many on the Electric Jive team, including myself, grew up. You can almost feel the rolling cane fields in his music. Chris Albertyn and I have often spoken about doing various mixes of this style of music for Electric Jive. Listening to Burnside inspired me to plough through the 78 rpms in the flatinternational archive and look back at the roots of the maskanda tradition. Almost every text on maskanda usually opens with a mention of this scene: a seemingly lonely figure walking the streets of Durban, decorated guitar in hand, strumming away and singing to himself. The ambulating musician and the cyclical, repetitive structure of the music almost suggests a journey or even a kind of nomadic life. For maskandi the nomadic life was not unusual, many moving in rural areas from village to village. Also, the life of the migrant worker in the larger context of South Africa required leaving home for long periods — moving to Durban or Johannesburg away from rural areas — and bringing the music was a way to culturally reconnect back home. Maskanda is often described as a neo-traditional style of music and is most famously linked to the guitar, though not exclusively. The long syncretic tradition has incorporated a number of Western and global instruments including the concertina, accordion, violin, whistle (as in referee whistle) as well as a number of traditional instruments. In many respects the term itself — maskanda — is an amalgam derived from the Afrikaans musikant meaning musician. Carol Muller in her book Music of South Africa suggests that the term itself implies an association with music made by Afrikaans-speakers such as white farmers. (Here I am thinking of vastrap performed with concertina, etc.) Most other forms of Zulu traditional performance such as singing, dancing, drumming were referred to as ngoma. According to the LP Rough Guide to African Guitar Legends the history of the modern European guitar actually has its roots in Africa. As the liner notes reveal, it was the “Moorish invasion in the eighth century that brought the guitar from Africa to Spain.” Perhaps ironically, it was Portuguese traders in the 1620s that then re-introduced the instrument to Africa through the back door, so to speak, when they settled in the area now referred to as Zimbabwe. 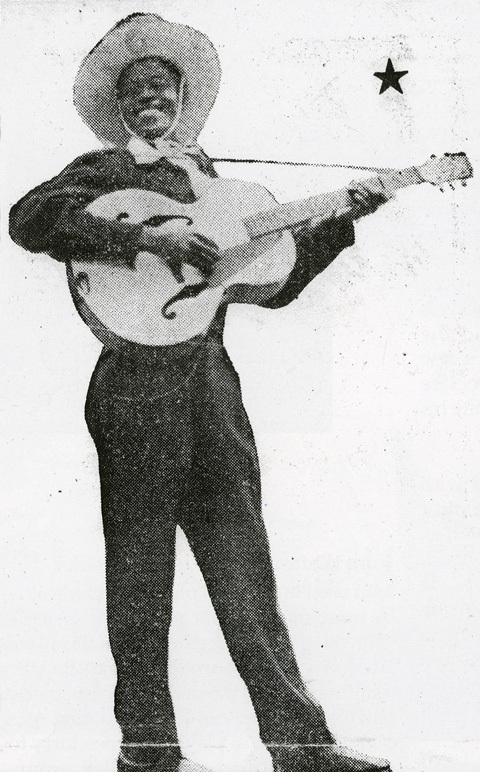 Instruments such as the single-string bow were already native to the region and it was not a leap to translate aspects of those traditions to the modern guitar. This instrument as with the concertina became commonplace during the 1930s after cheap locally made versions were produced. 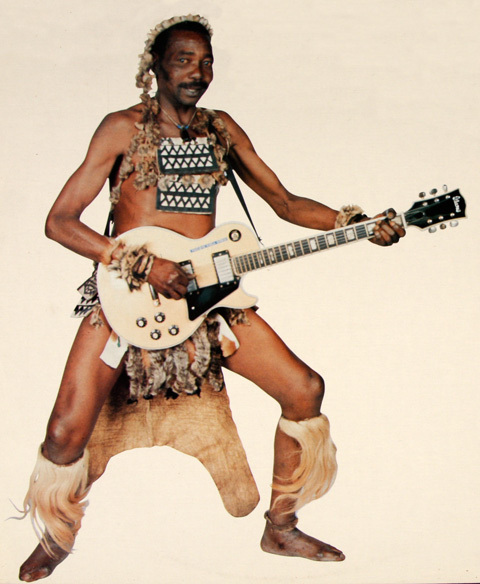 Significantly, according to Rob Allingham, only the Zulu, the closely related Ndebele (of Zimbabwe) and the Shangaan (of Mozambique) were known to have adopted the guitar in the region by this point. There are two main guitar styles within the maskanda tradition, ukuvamba (vamping or strumming of a few basic chords in the marabi tradition) and ukupika (picking), the later being more desired for its technical prowess. 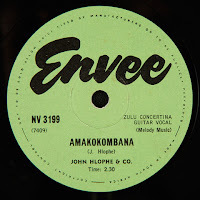 By some accounts the picking tradition may have come from the north meaning the southern regions of Zimbabwe (then Southern Rhodesia) or Mozambique, though Allingham also points to picking styles (in the case of John Bhengu) originating from the Umkomaas region of southern KwaZulu Natal. That said, perhaps the tracks in the Maskanda Roots mix below might suggest other histories. There are a number of guitar tunes which predate the 1948 Hadebe/Sibanda sessions. Notably the tracks by Phineas Maphumulo's Guitar Twins from around 1942 that reveal a familiar maskanda tradition already set with both picking and vamping. Of course, on the other hand, recording dates cannot be a determinant of how culture moves. Another interesting detail comes from Judy Kendall and Banning Eyre in their chapter on Zimbabwe music in the "Rough Guide”. 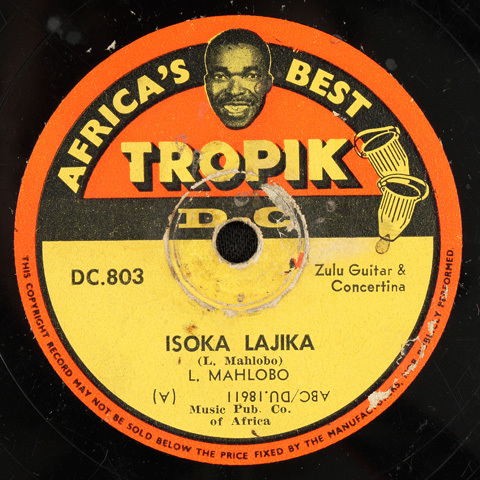 They suggest that George Sibanda was so popular in the 1950s that he is credited as influencing the seminal Congolese guitarist Jean Bosco Mwenda, who "by mere coincidence" was also recorded by Hugh Tracey. 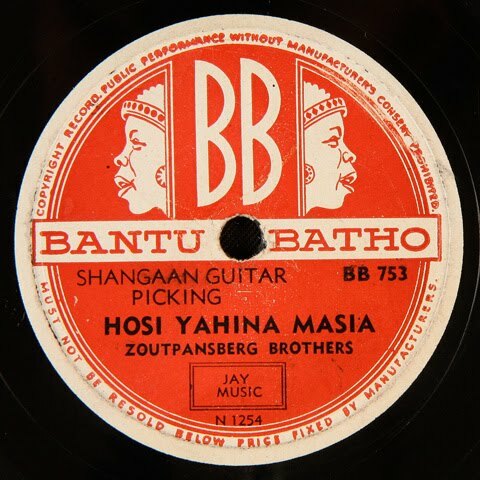 Josaya Hadebe is said to have been an influence on John Bhengu who, with his distinctive finger-picking style, is responsible for the popularization of maskanda in South Africa. 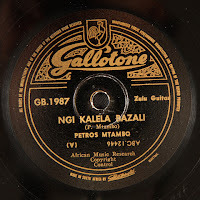 As Rob Allingham reveals, Bhengu started out as a street performer in Durban in the late 1940s and began recording with Troubadour around 1955. Interesting side note: Cuthbert Matumba, talent scout and producer for Troubadour, is also featured in this mix as part of the Zoutspanburg Bothers. After Mathumba’s death Bhengu moved to Trutone in 1968 and then worked for a short period with producer Cambridge Matiwane, who may have been instrumental in getting him to perform with a backing band, a notable departure for maskanda music. 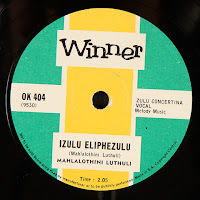 These recordings were also his first to use the name Phuzushukela (or Sugar Drinker) and the rest is history! 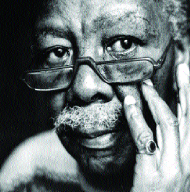 As Phuzushukela, Bhengu moved to GRC in 1971, where producer Hamilton Nzimande electrified his sound. 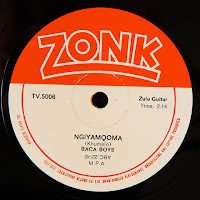 The combination of traditional maskanda with the heavy bass lines of mbaqanga produced a product that was irresistible and a formulae that remained for the next 30 years. 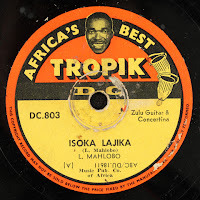 Structurally maskanda songs usually consists of four parts: a) the intela or izihlabo, an improvised instrumental introduction; b) a repetitive vocal chorus where all sing in harmony; c) a vocal narrative where the lead tells a story; and d) the ukubonga, where an interjection of praise, usually for the musicians or their family, is rapidly announced. 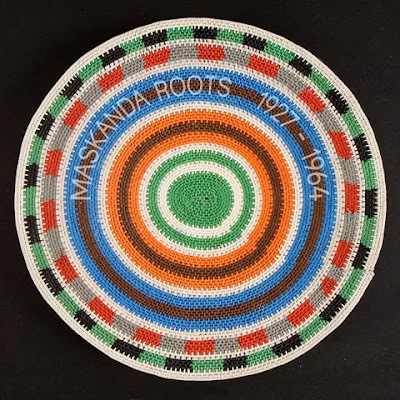 For this Maskanda Roots mix I have tried to assemble 78 rpms that reflect one or more of these maskanda parts. The tracks are presented more or less chronologically to illustrate the history. Many of the early examples do not include instrumentation and may not be considered “maskanda” in a strict definition (for example the tracks by James Stuart, Simon Sibiya and the ngoma "War Dancers") but I included them if they featured elements such as the ukubonga or praise interjection. With the unaccompanied vocal tracks one can almost ‘hear’ a guitar or concertina overlay in the minds-ear. Also a significant aspect of this research that is missing are translations of the lyrics. Without that, a major part of the context of the music is lost. Perhaps with time and more research this will be remedied. Pointers for additional maskanda music: The most well known international proponents of maskanda are probably Johnny Clegg and Sipho Mchunu and their band Juluka who performed and recorded extensively in the 1980s. Also Shiyani Ngcobo featured on the African Guitar Legends LP mentioned above. As far as more 'local' practioners of the style go, I would recommend the first three CDs by Phuzukhemisi (not to be confused with Phuzushukela), Mfaz' Omnyama, Skeleton and Vusi Ximba. Also aspects of the maskanda tradition have crept into contemporary music styles such as hip-hop in South Africa. Check out Zuluboy and his brand of "skandi-hop". 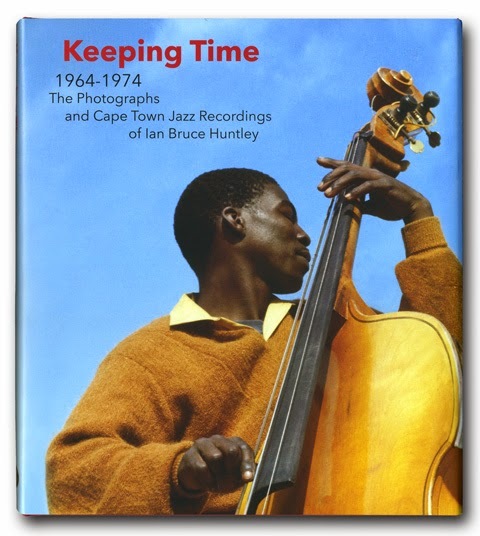 For a more historical perspective I highly recommend Rob Allingham’s excellent CD Singing in an Open Space — Zulu Rhythm and Harmony 1962 – 1982 a well documented compilation that traces the music from Bhengu through to the 1980s. Also Squashbox, a CD compilation by Harry Scurfield of concertina-based maskanda is horribly out of print but is available, used, at a serious premium on Amazon. 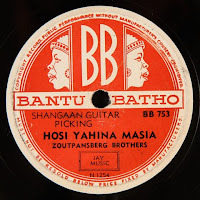 For a rougher, more 'street', maskanda, I recommend Gumboot Guitar published by the British Library and the Street Sounds of Durban, though I suspect the latter to be almost impossible to find. Finally, putting this compilation together was a real pleasure! Trying to edit down the number of great tracks though was a bit more difficult. For that reason I decided to split the compilation into two volumes. Volume 1 features the really early material from 1927 - 1952, while volume 2 focusses on tracks from 1954 - 1964. There is no significance to the date periods, it just seemed logical to split the tracks at those points. In theory, Rob Allinghams's Singing in an Open Space would take you from 1962 - 1982. Perhaps there is some irony in starting a mix of Zulu-based maskanda with a British-born language specialist - maybe the term "Le Zulu Blanc" might apply here. James Stuart recorded at least 24 tracks for Zonophone starting in 1927. All were issued in 1928 and then a further set was recorded and issued in 1930. These were primarily 'eulogies' and versions of Aesop's Fables in Zulu. The 'eulogies' are actually izibongo or praise songs dedicated to leaders like Shaka and Dingaan. The izibongo tradition continues today in South Africa. As far as I can tell, the track featured here is not an izibongo but the cyclical / repetitive structure of the song reminded me of tracks below for example those by The Zulu Minstrel. 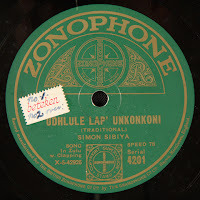 Simon Sibiya also recorded for Zonophone at least 18 tracks in 1929. As with Stuart the tracts feature a similar structure, though in his examples Sibiya includes the ukubonga or praise interjection so familiar in many maskanda songs. I am assuming both Sibiya and Stuart were recorded in London. Check out John H. Cowley's excellent text, uBungca, which was invaluable in dating these records. 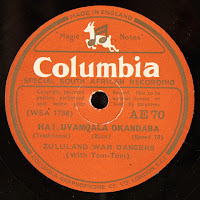 In the first issue of the African Music Society Newsletter (June 1948) Hugh Tracey refers to Mameyigudi as being one of the best-known ndhlamu dance leaders in Durban. The track features a call-and-responce structure though unlike his other recordings does not include drumming. The remaining four Columbia tracks by the "Zululand War Dancers" are examples of ndhlamu dance — often featuring the ngoma drum or sometimes clapping. Tracey refers to these specific tracks in the same newsletter and points out that they are not "war dancers" and that the drum is not a "tom-tom". 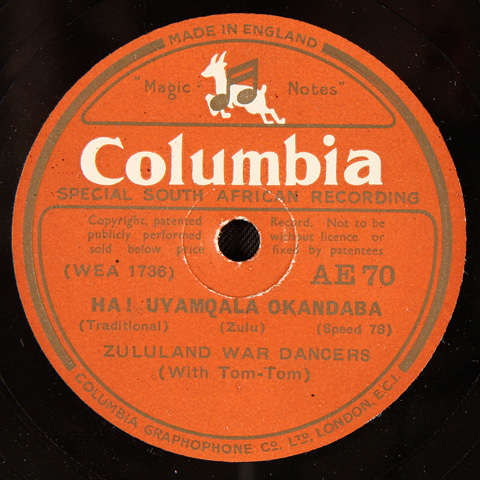 Columbia had sent a mobile unit to South Africa and there is a good possibility that Tracey may have been involved in the recording of these tracks somewhere between 1930 and January 1933 when they were issued. The recordings are particularly good and there is a slight echo which gives them an almost haunting quality. To my ear, these two tracks by Nomathenisi (The Zulu Minstrel) are the first in the archive that sound like "maskanda", with a single repetitive voice accompanied by concertina. The beautiful yet lugubrious Ngiyoyilo Bola Ngami is featured in Hugh Tracey's book, Lalela Zulu, a collection of 100 Zulu songs. According to Tracey it is a "man's song for singing along the road" and the lyrics go: "With what will I wed her? There are no cattle. With what will I wed her?" Isaac Mzobe's Crocodile Male Voice Choir was one of the very early isicathamiya groups performing in Natal. Like the previous tracks, Sasingaxabene also features a concertina though one played in manner far closer to the Afrikaans tradition. For more on this disc check out flatinternational. 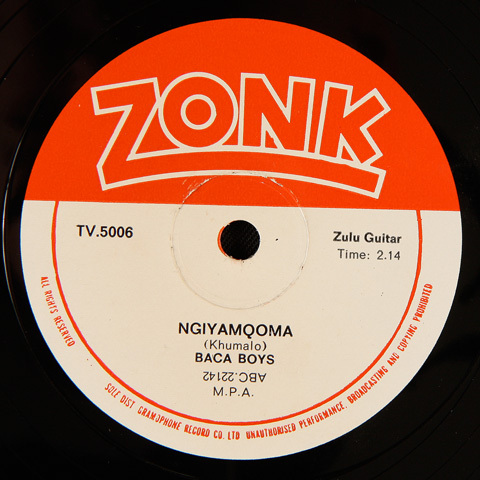 These tracks by Phineas Maphumulo's Guitar Twins are the first "maskanda" tunes in the archive to feature the guitar. 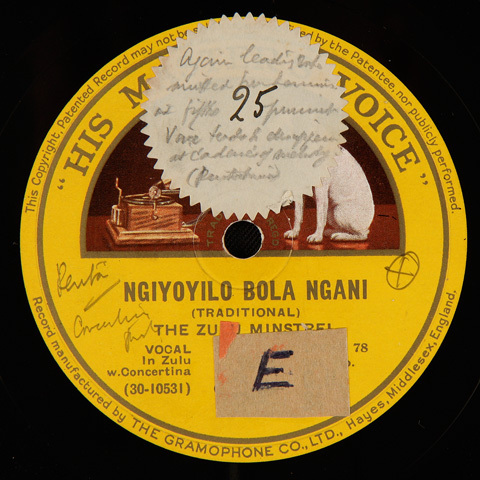 Recorded roughly around 1942 they reveal the familiar maskanda guitar tradition already set including both picking and vamping. Though the recording was made in the early 1940s, Rob Allingham maintains that the disc was only issued in 1948. 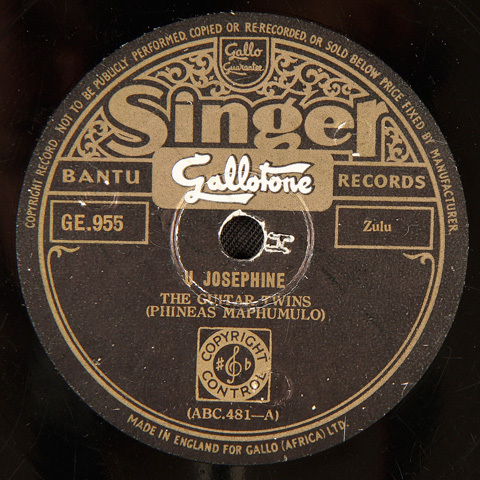 Also check the difference between Maphumulo's early version of U Josephine and a later 1964 version by Mandlakayise Mkize at the end of Volume 2. 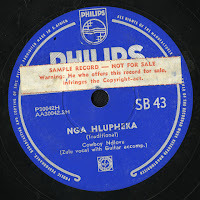 This set also includes two brilliant tracks by Zimbabwe omasiganga George Sibanda who was a major influence on the guitar picking style in the late 1940s. Alas the shellac here has seen better days, but the sparkle of the picking still shines through. 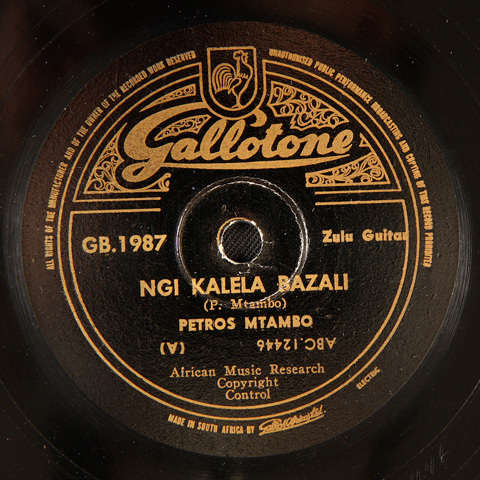 In Hugh Tracey's Gallotone catalogue from 1951 he refers to Umfazi We Poyisa Usegqoka Amalube as a "topical song" where the translation is: "A policeman's wife wears roses", while the b-side is "We have been found guilty". The Herman Magwaza track is one of my favorites and is the only one to come from a 10" 33rpm LP record, issued by London in the UK and Decca in the USA. 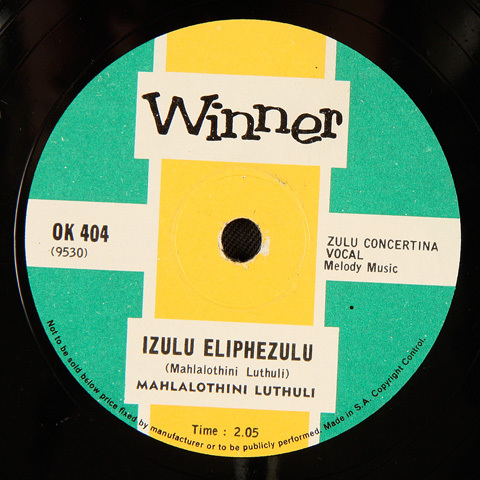 Zulu Music and Songs was probably one of the first vinyl issues to feature black South African music worldwide. The record was issued in 1951 so I am assuming the track was recorded somewhere in 1950, but it could have be even earlier. As mentioned earlier, the Zoutpansburg brother included Cuthbert Matumba who would go on to be a formidable producer at Troubadour records and establish a catalogue that easily rivaled Gallo's in the 1960s. 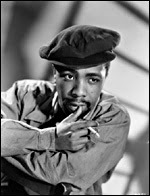 Alas, he died in 1965 and by 1968 the company had been consumed by Gallo. 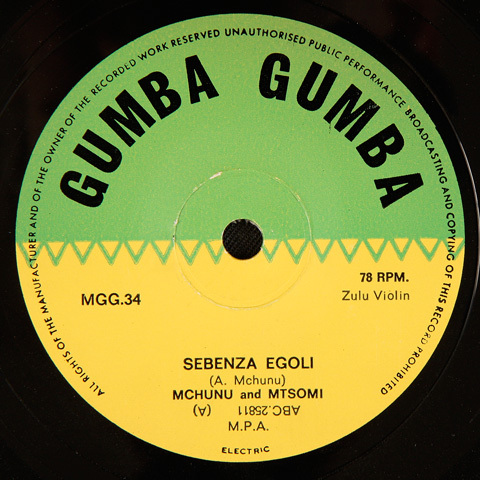 The label reveals the style to be "Shangaan Guitar Picking" and the track is interestingly monotonous. Cowboy Superman, if anything, reveals the country western influence on this guitar based music where the singer yodels while strumming. I have often wondered what marabi must have sounded like and in the case of the Nyakaza Merrymakers this might have been close to it. Funnily enough the second track is called Marabi, but its the first track that comes closest for me. Umame is also intersting in that it feature the violin, the first in this mix to do so. The track Marabi on the other hand is particularly unusual in that it features an electric guitar, which must be a unique for the time. 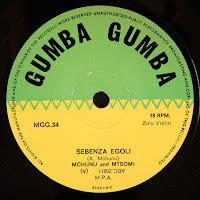 While this proto-rock tune, in places, almost suggests aspects of an electrified maskanda it probably has more in common with the mbaganga future that would follow a decade later. But still an electrified instrument around 1952 feels way before its time in this context. Perhaps this would be a good question for Nick Lotay. Another wonderful excursion into seventies stageshow soundtracks with an impressive line-up that includes Dennis Mpale, Duke Makasi, Temba Koyana, Bucs Gongco, Zulu Bidi, Max Diamond and Bingo Mbonjeni. Produced by Cambridge Baba Matiwane. Soloists are Tandi Seoka, Zodwa Dlamini, Japan Fassi and Beulah Hashe.